Career & Business What is NEFT And How it work? 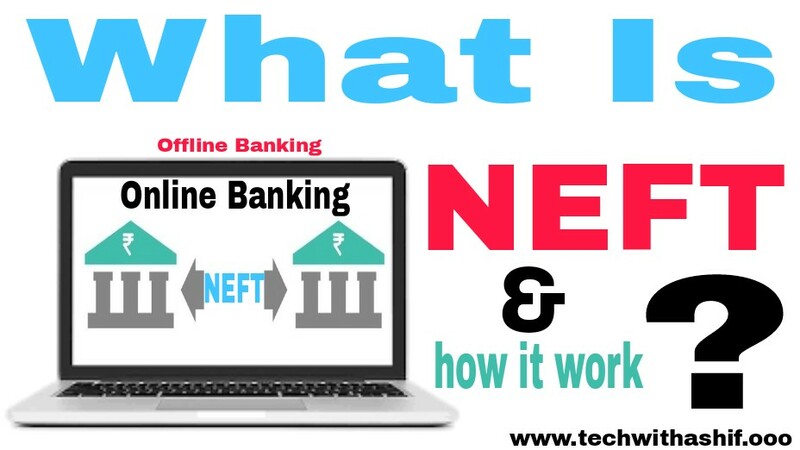 what is NEFT & how it work? At present, there are several options for sending money from one bank to another bank account. Such as RTGS, NEFT, IMPS Banking process has become very fast through internet. You can transfer money immediately to any bank account in any corner of the country. In this article, we will discuss about NEFT. Through NEFT you can go to your bank or sit in the house through net banking, Transfer money from one account to another. The full name of NEFT is National-Electronic-Fund-Transfer. NEFT is a simple and easy way of fund transfer through which it can send money to any bank account across the country. NEFT was started by the Reserve Bank of India in November 2015 and the service is currently available in almost every bank. Money transfers in NEFT are not in real time like RTGS, but in hourly batches. To transfer money through NEFT, you must have the name of the person to whom the money is to be sent in the account, bank account number, branch address and that bank's Ifsc code address. NEFT also works like RTGS, but the NEFT process is slower than RTGS and there is no restriction of minimum amount. There is a fee for transferring money from NEFT, which depends on the amount to be sent. To transfer funds from NEFT, you must know the bank account number, bank branch, IFSC code of the person receiving the money. With the NEFT, you can transfer money in two ways. It means that you have to go to your bank branch and take NDFT's form and fill in all the information and submit it to the bank. The other way is online That is, if you use NET Banking, then you can send money through NEFT sitting at home. You will need to activate the third party transfer service. In this, you have to add details of the beneficiary by visiting add new beneficiary. Now you select the NEFT option for the fund transfer and select the account that is to send the money and then enter the amount you want to send and submit it. NEFT works on all working days of the bank. If you talk about time, this happens from 8:00 am to 7:00 pm in 23 half hourly batches. If there is a delay due to some reason, Transaction happens in the working hours the next day. There is no settlement on the 2nd and 4th Saturday of the month. There is no transaction in weekly holidays and public holidays. Charges given above can also be changed. You can find out for the current charges in the bank. 1. NEFT money transfer is an electronic process. 2. To send money from NEFT, the beneficiary's bank account number and bank's ifsc code are required. 3. Any person who has an account in the bank can take advantage of this service. 4. Through Neft you can send money offline (by going to the branch) and online (by net banking) both ways. 5. NEFT facility gives all CBS (Core Banking Solution) branches. Hopefully you know what NEFT is and how it works. If you want to give us any suggestions, then comment and subscribe to get the latest update.